Bottles Of Tincture Or Potion And Dry Healthy Herbs, Bunch Of.. Stock Photo, Picture And Royalty Free Image. Image 61088846. 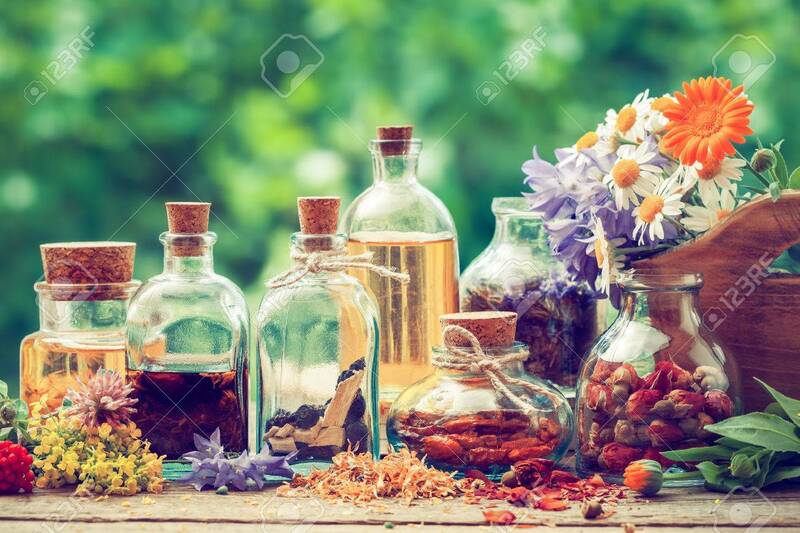 Stock Photo - Bottles of tincture or potion and dry healthy herbs, bunch of healing herbs in wooden box on table outdoors. Herbal medicine. Retro styled.